Effective representation of individuals and families is not simply a matter of responding to present needs; it is also a matter of planning and making arrangements for the future. 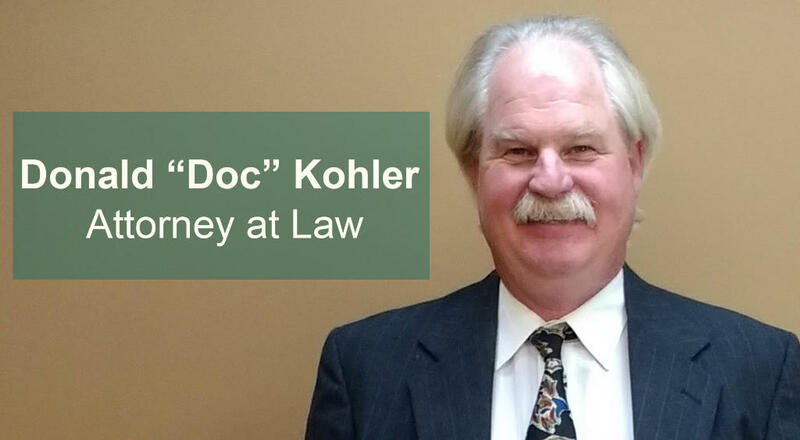 Attorney Donald W. "Doc" Kohler in White Bear Lake helps clients turn their concerns and wishes into effective and comprehensive estate plans, using wills, trusts, powers of attorney, health care directives and other estate planning tools. Wills - A will is a basic estate planning tool that allows you to set out a plan for the distribution of your property after death. You may also specify an executor for your estate and name a guardian for your minor children. Please complete our Will Intake Form for your first attorney conference. Trusts - A revocable living trust may be used as a vehicle to manage your property during your life, as well as after your death. There are certain benefits to trusts, such as avoiding probate and estate tax. Powers of Attorney - A power of attorney is a document that authorizes a person to make decisions on your behalf in the event of incapacity, including decisions about finances and property. Health Care Directives - A health care directive allows you to express your preferences regarding medical treatment at the end of life and designate a person to make healthcare decisions when you cannot communicate your own wishes. Transfer-on-Death Deeds - A revocable transfer-on-death beneficiary deed allows Minnesota homeowners to leave real estate to named beneficiaries without going through probate or using a trust. Designated Caregiver Agreements - A designated caregiver agreement is important for single parents and parents living out of the country, as it allows you to name a caregiver for your minor child. Without a will or estate plan, Minnesota law controls how a person's assets are distributed upon death. But with a minimal amount of planning, you can protect assets from having to go through probate, and you can eliminate uncertainties regarding the administration of your estate. If you or a loved one needs to draft a will, establish a trust, or set up any kind of arrangement for health care or financial management in the future, please contact Donald W. "Doc" Kohler for a free initial consultation. Our office can help you develop the best plan to achieve your goals.